To earn the Webelos badge, you must be active in your den at least three months and complete the requirements below. Have an adult member of your family read the Webelos Scout Parent Guide (Webelos Handbook, Pages 1-22) and sign here. 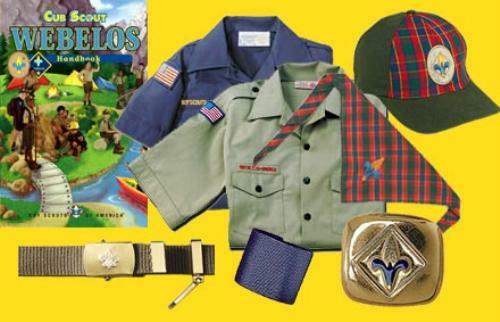 Be an active member of your Webelos den for three months. (Active means having good attendance, paying your den dues, working on den projects). Earn the Fitness and Citizen activity badges and one other activity badge from a different activity badge group. a. Demonstrate the Scout salute, Scout sign, and Scout handshake. Explain when you would use them. b. 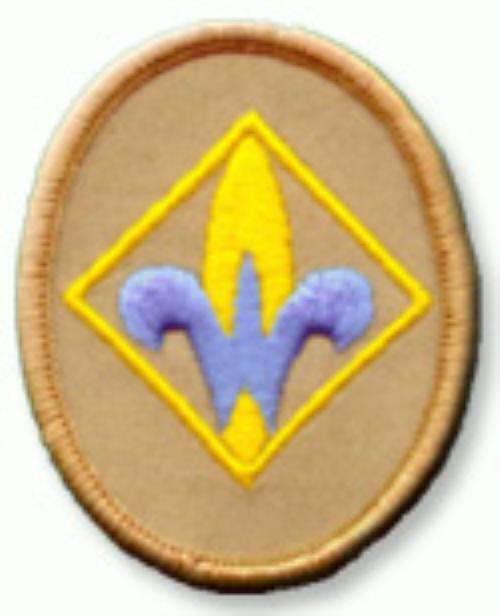 Explain the Scout Oath, Scout Law, Scout motto, and Scout slogan. c. Explain and agree to follow the Outdoor Code. a. Know: Tell what you have learned about faith. b. Commit: Tell how these faith experiences help you live your duty to God. Name one faith practice that you will continue to do in the future. c. Practice: After doing these requirements, tell what you have learned about your beliefs. Attend the mosque, church, synagogue, temple, or other religious organization of your choice; talk with your religious leader about your beliefs. Tell your family and your Webelos den leader what you learned. Discuss with your family and your Webelos den leader how your religious beliefs fit in with the Scout Oath and Scout Law and what character-building traits your religious beliefs have in common with the Scout Oath and Scout Law. For at least a month, pray or meditate reverently each day as taught by your family and by your church, temple, mosque, synagogue, or religious group. Under the direction of your religious leader, do an act of service for someone else. Talk about your service with your family and your Webelos den leader. Tell them how it made you feel. * If you earned your faith's religious emblem earlier in Cub Scouting, and your faith does not have a Webelos religious emblem, you must complete requirement 8e. Completion of requirement 8e does not qualify a youth to receive the religious emblem of his faith.